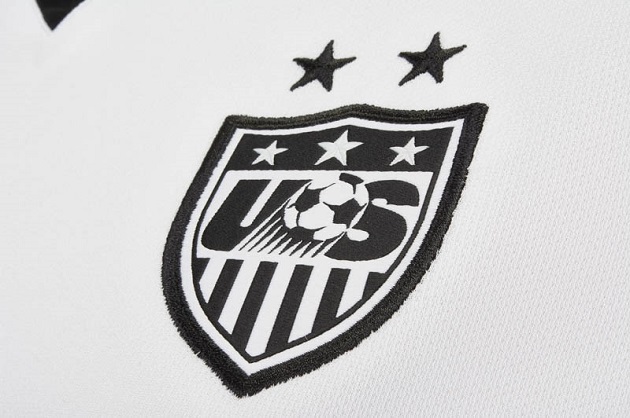 Elegant, clean, and classic, the US National Team has a new home jersey for 2015. 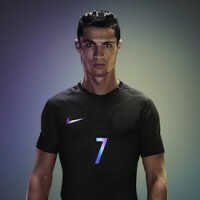 After the creative shades of blue and snow-capped shoulders of the away jersey, Nike has gone with a simple white with black accents for the home shirt that the US Women will take into Canada this summer for the Women’s World Cup. Coach Jill Ellis has just recently announced the roster that will represent the United States, and to no one’s surprise, there were no Landon Donovan-type surprises. 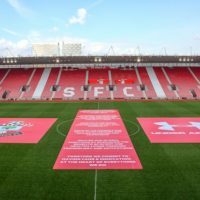 We should see Alex Morgan, Sydney Leroux, Christen Press, and Abby Wambach spearheading the attack, while Carli Lloyd and Megan Rapinoe provide service and strong midfield play. In the back, Hope Solo will be in net (despite her recent issues) and a collection of young guns (Johnston, Klingenberg) and savvy vets (Rampone, Krieger) will make up the back line. In March, the women captured the Algarve Cup by defeating France in the final, proving they were taking the run-up to the World Cup seriously. With three friendlies in May, the USWNT should have enough time to be fully prepared when Canada 2015 kicks off in June. However, their competition is no joke. Widely considered the Group of Death (I know, I know, we just went through this with the men last summer), Group D features three of the current FIFA top 10 teams — USA at #2, Sweden at #5, and Australia at #10. 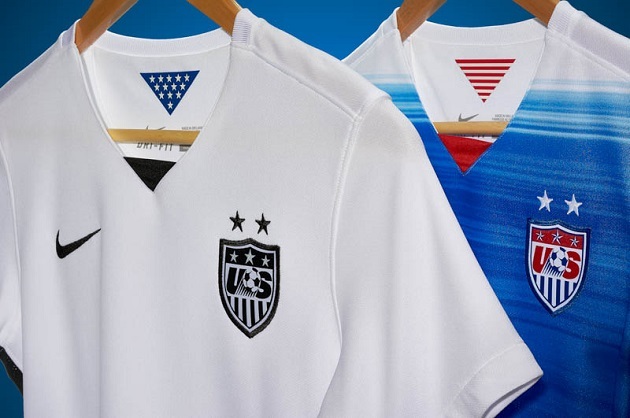 Okay, let’s jump into the details of this release from Nike and US Soccer. 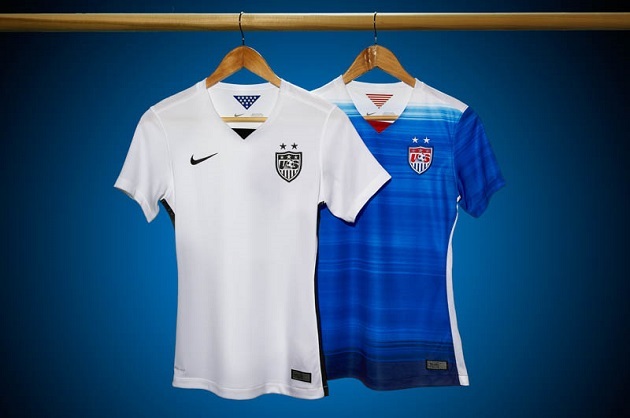 The US Women now have a straight-forward home and a bold away, just like last year’s jerseys the men wore at the World Cup. 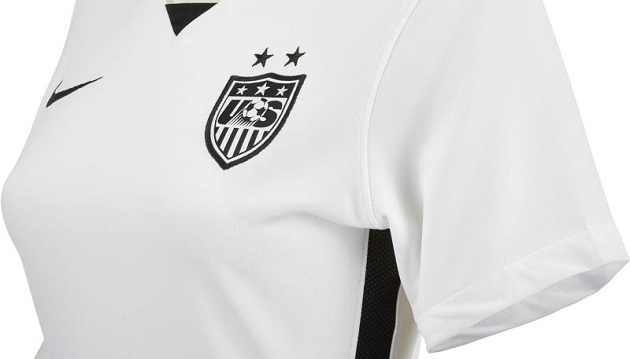 Black piping down the sides adds a little something extra to the mostly white affair, while black accents on the US crest and v-neck give it a classic look. 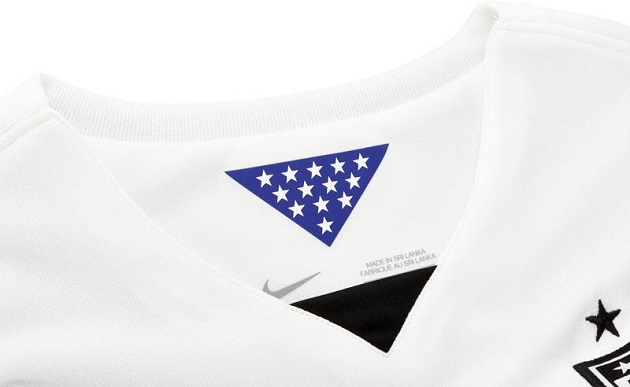 On the inside of the collar, 13 white stars (repping the original colonies) on a blue background sit in place of the white and red stripes on the away jersey. 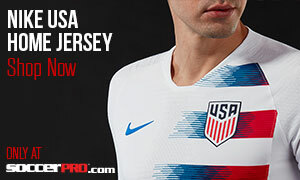 Nike’s patented Dri-FIT material is used on the jersey with its excellent moisture-wicking and ventilation to keep you dry and cool while you hold your US Soccer scarf over your head wherever you happen to be watching the women this summer. For the USWNT, their history (World Cup wins in ’91 and ’99) and current status as one of the tournament’s favorites means anything less than a World Cup title will be a disappointment. 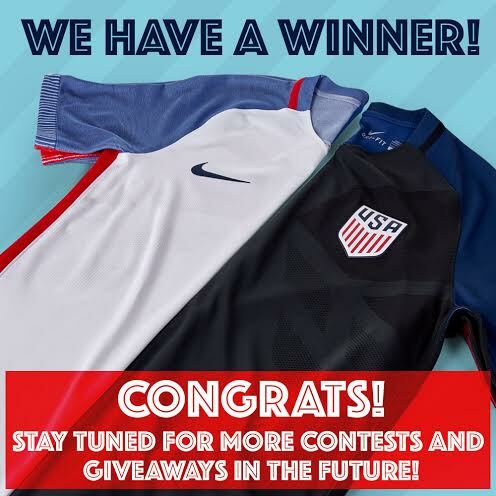 This is more than likely the last time around for Wambach and Rampone, among others. While the men were thankful to get out of their group and just get a shot at the quarterfinals, the women’s expectations are significantly higher, especially after letting 2011’s chance at glory slip. 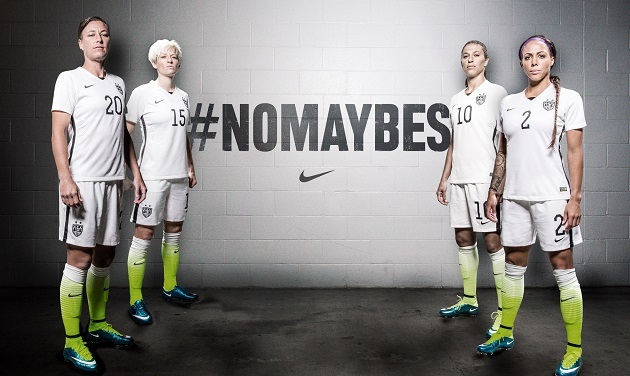 #NoMaybes, indeed.